Hey writers, Annette here. Did you know: Every word out of a character's mouth has the potential to reveal her psychology? Whether you have a character in therapy and include the counselor's POV (as in Nancy's Sullivan Crisp novels) or not, this Mixing-it-Up Monday series will help you with characterization. Want to know how to avoid writing "skimmable" introspection? Read on! Every time I stare at my outline for a new novel, I choke on the same question: How in the WORLD am I going to bring this character to life on the page? It’s the scariest thing in life, next to snakes. But once I get past the Ican’tdothisIcan’tdothisIcan’tdothis phase, I remember the three things that will weave that psychological thread into the reader’s imagination, the same three things I learned in high school English. (From old Mrs. Norris, who has probably passed on to that heavenly place where every student cares about such things). The empty kitchen met me with its arms open. Arms that beckoned with promises of comfort, and in spite of the hope that Sullivan Crisp could help me with Bethany and Sonia, I still had such an empty place to fill. Notice that it isn’t: I feel empty inside, she thought. Dr. Sullivan Crisp didn’t know what he was doing. But then, that was his basic MO these days. There’s no need for I don’t know what I’m doing, Dr. Sullivan Crisp thought. I’ve taken you straight into his head. What the protagonist says. Every word out of a character’s mouth has the potential to reveal her psychology. So does the way she says it, as well as what she doesn’t say. Attitude, pauses, the body language attached–you have limitless options. If you’ve dialoged with your protagonist in the journaling phase, this’ll be like reporting a conversation you’ve overheard. (Sully) “You have buried some things, some very hard things, deep inside you where you won’t have to feel them. How am I doing so far? I licked the salt off of the first chip, softening it to dissolve like a Communion wafer in my mouth. As it turned soggy, I added another one and another one, until I had to gulp to swallow them. A few more and the pain would disappear and I could stop. I ate the next twenty without ritual, faster, with the fear that they wouldn’t fill me up. After about the first page, I forget to be scared about writing a psychologically satisfying novel. Finally, after all the planning and puzzling, this is the fun part, the rich part. Enjoy, my fellow writers. Enjoy. 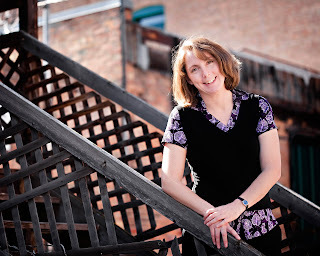 Nancy Rue is the author of one hundred and ten books, including nine novels for adults, seventeen for teens, and sixty for tween readers, as well as two parenting books, thirty-two non-fiction books for tweens and teens, and the features for the FaithGirlz Bible. 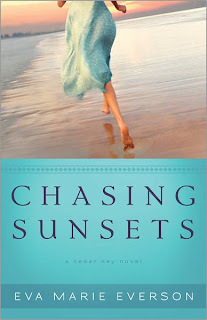 Her Lily Series, published by Zondervan, has sold well over one million copies. Her ability to relate to a wide audience has made her a popular radio and television guest and an in-demand speaker and teacher for writer’s conferences across the country. 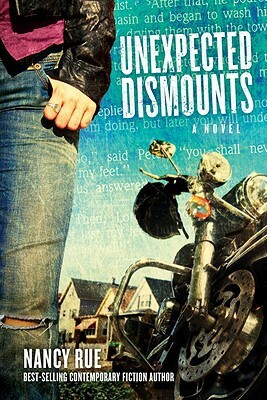 Her latest titles include The Reluctant Prophet and Unexpected Dismounts for adult readers (David C. Cook) Limos, Lattes, and My Life On the Fringe (Zondervan) for teens, and That Is SO Me (Zondervan), a year-long devotional for tweens, in addition to a book written with her husband entitled What Happened To My Little Girl: A Dad’s Guide to His Tween Daughter. 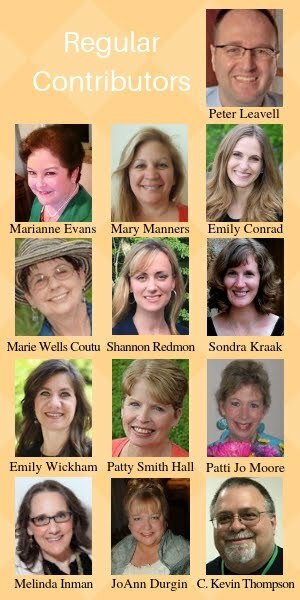 A student of the Academy for Spiritual Formation, sponsored by the Upper Room, Nancy continues her own spiritual journey even as she writes and speaks for mothers, daughters, and would-be writers about theirs. For more information, visit her website at www.nancyrue.com. I almost didn’t go. Looking back, I can hardly believe what would have been the loss had I not. 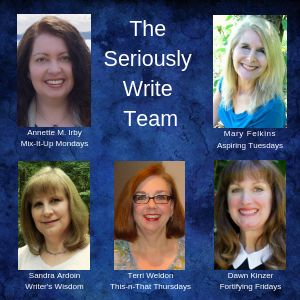 My friend Laura told me about a writers critique group starting up; she insisted I go. I’d been writing for a children’s ministry for a year and she thought this the obvious next step for me. She gave me the “when and where.” I told her I’d go. But I got lost that Saturday in March 1997. I did, however, manage to find Laura’s house. Over coffee, I told Laura I’d decided not to go. I hate being late, I said. Hate the feeling that people are looking at me when I walk in. But when the last sip had been drained from my cup, Laura pointed toward the door and, again, insisted I drive the less-that-one-mile to my destination. I sighed. I hung my shoulders. I told myself I really didn’t want to go. After all, I’d written my whole life and still I wasn’t really a “writer.” But, I was obedient. I went. And, a few minutes later, I sat around a table with four other aspiring writers, none of us knowing much about anything. We just believed this was where God (and Laura) wanted us to be. Over time, five grew to fifteen. Fifteen to twenty. We called ourselves “Word Weavers.” When the group needed leadership, I became the first “president.” In 1999, with what I’d learned, I presented my first proposal to an editor. Nine days later, I was contracted. My journey was newly exciting and I wanted everyone else to experience it, too. I’d gathered like-minded leadership for Word Weavers and we worked diligently to be iron sharpening iron. Our numbers grew. And grew. Each of us looking forward to that second Saturday of the month, knowing that the fundamentals we’d established not only could work, they did work. We became widely published. Award-winning. We incorporated things like annual picnics, book sales, and retreats. We became recognizable at conferences. After seven years I turned the reins of president over to Larry Leech who, when asked “How do we start a writers group?” helped launch new Word Weavers groups. Larry, Cheri Cowell, and I became the leadership team over what became seven chapters. Then, in early 2010, Jerry B. Jenkins (Left Behind author and owner of the Christian Writers Guild) took notice. Six months later, the Guild acquired Word Weavers. 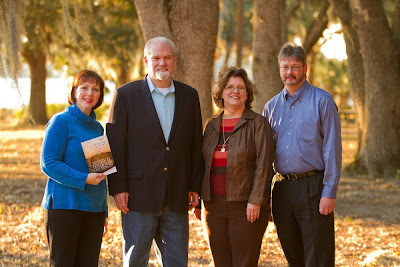 By the end of 2011, we will have over thirty Word Weavers chapters in the US and Canada. For me, this is astounding. Not only is Word Weavers the method by which I sharpen my own skills, it’s the method by which I help sharpen the skills of others. And, with Word Weavers, when one is sharpened, they—in turn—sharpen another. And so on and so on. But, this isn’t about getting published and winning awards, as wonderful as that is. This is Kingdom work. God spoke the world into existence with words. His Son is “The Word.” We use our words, inspired by our love for God, to draw others to Him. This alone stirs me like little can. It frightens me too. Because … I almost didn’t go. What about you? What door has God opened that you almost didn’t go through? 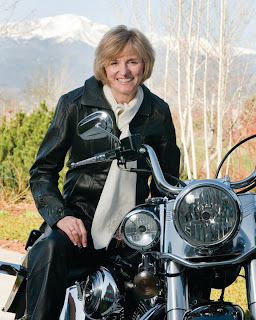 Eva Marie Everson is the author of over twenty-five award-winning books, both fiction and nonfiction. She is a mentor for The Christian Writers Guild and the Executive Co-Chairman for CWG/Word Weavers. If you would like to know more about how to start a Jerry B. Jenkins Christian Writers Guild Word Weavers in your area, contact Eva Marie at PenNhnd@aol.com. Fiction is powerful. Books like Uncle Tom’s Cabin and Pilgrim’s Progress have actually altered societies. But perhaps more importantly, fiction affects individuals. It has me. As a lonely preteen I found intense comfort in the Chronicles of Narnia. And George MacDonald’s novels have also encouraged me. What books have influenced you? Let’s face it, as Christian writers we love the craft—delight to create characters and plots—but it’s the message that really motivates us. At least for me, I yearn to use my passion for writing to share truths about Christ. But with fiction we must be careful how we show our message. 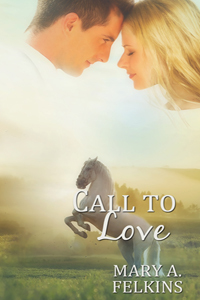 The most profound Christian fiction is never preachy. Spiritual themes flow from the characters, sneaking into readers’ hearts and minds in powerful ways. If we’re too “in your face” with our beliefs, not only will our stories seem awkward and trite, they will actually lose power. So how do we make our writing spiritually meaningful without the reader feeling preached at? First, some don’ts. Recently I watched a movie where everything that happened seemed contrived to make me accept as true a certain philosophy—one contrary to my own values. By the end, I had lost track of the plot and was only feeling frustrated. As an editor, I’ve also seen this. In one example, the author thrust an irrelevant flashback into the middle of an action sequence just so he could squeeze in an altar call. It felt like a cheap trick. I once edited a book where the antagonist obviously represented greedy, self-centered, feminism. By only showing this character as horribly vulgar and foul, the author was obviously trying to say that greedy feminism is wrong. Which I agree with. But the character was completely unbelievable in the story. 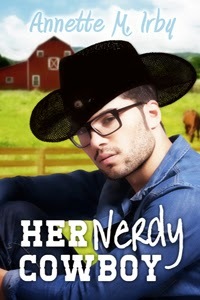 She seemed merely to exist to promote the author’s perspective. This can happen with Christian characters as well. When we make them too perfect, they seem to be there only to show the reader how to behave. But even the strongest Christians have problems—just read the pages of Scripture. Study the Word, attend church, pray. When your cup is full, it overflows into all your life—including your stories. Create an A+ story with multi-dimensional characters. Let the words flow from your core—and the messages you most treasure will develop naturally. In closing, let’s take a look at a master’s work. Remember this scene from The Lion, the Witch and the Wardrobe? This is just one example of how Lewis layered spiritual meaning while maintaining the enchanting nature of his story. And from what I understand, he simply wanted to write a good story—yet his cup was full, so the message flowed. 1. Lewis, C.S, The Lion, the Witch and the Wardrobe, (Macmillan Publishing Company: New York, 1988) page 64. Note: This quote has been condensed by the author. Happy Wednesday, writing friends. I hope you're enjoying fall as much as I am! Today's question is: Why do I have to write a timeline? It's so boring. This one makes me laugh, because I relate! Novel creation is exciting, isn’t it? I love snuggling up to a fresh story idea, uncovering the depths of recently created characters, imagining awesome plot twists, and envisioning new ways to add conflict and stakes. The problem? Sometimes the fun parts delight me so much, I slack off on the boring stuff. This happened the other day. The first chapter of my new novel flowed from eager fingers, and I happily trotted it to my critique group (with my fellow hostesses Dawn and Annette), expecting them to burble with excitement. They were very kind, carefully sandwiching confused questions with compliments, but I got the message. I had skipped one important task—laying out a timeline. And because of this, nothing made sense. Why had I skipped this step? Well, let's be honest, probably because it’s boring and feels like math to me. I know. Pathetic. And because of my laziness, even though my dear McCritters (we meet at McDonalds so that's what we call ourselves) admitted they felt something for the characters and even liked the story, stumbling over unfinished basic structures led not only to confusion, but frustration. Not quite the response I hoped for. 1. Pencil in the main events and when they will take place. For example: Mary arrives in Chicago—July 1914. She meets Roger—August 29 1914 and so on. 2. Fill in the spaces in between, being careful to keep all your POV characters in order and remembering cause and effect. 3. Don’t stop. As I did this, the creative juices began to flow—AKA the fun stuff tempted me to stop this drudgery and start writing. Rather than give in, I resisted by keeping a notepad handy to jot down ideas. Then I always refocused back on the important task of timelining. After meticulously detailing the dates and events for the first act of the book (about ten chapters), I went back to writing. My new timeline made maintaining the logical progression simple and quick, adding that precious clarity. Was it worth it—even though a tad boring? Yup. And I’m sure my McCritters will think so too. Happy writing, friends, and don't forget to leave your questions for Ask O in the comments or on my website, ocieanna.com. 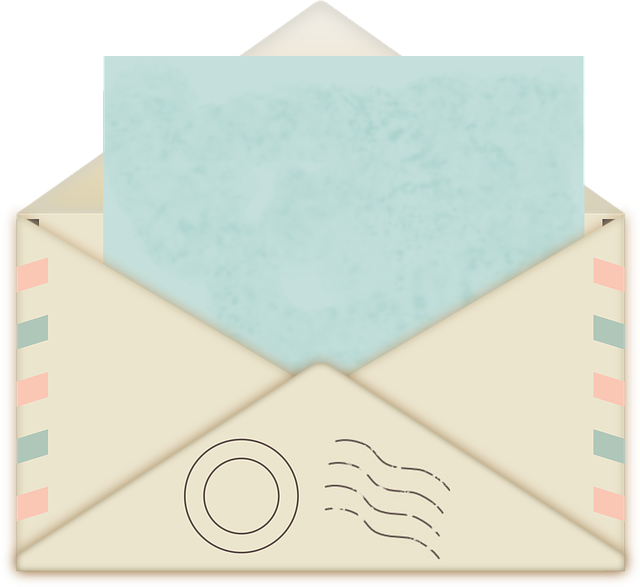 Today's post is from a fellow Carolinian, Alice Wisler, who is introducing her newest novel, A Wedding Invitation. 'Sounds like a great premise! Ever get an invitation to a wedding, where you so wanted to attend, but then realized that the invite was really addressed to the previous owners of your home? Well, that happened to me. The invitation was beautiful, the way certain wedding invitations can be. The reception was to be held at some fancy country club in New York. I toyed with the idea . . . What if I showed up? I'd know no one, but hey, there would be free prime rib and lobster bisque. Ever attend the wrong wedding? Nope? Me neither. But my character Samantha Bravencourt does. She gets an invitation saying Avery Jones is getting married. Only, it's not the Avery Jones she went to college with. 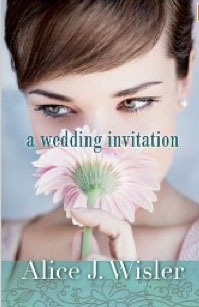 A Wedding Invitation, my fourth novel with Bethany House Publishers, was both fun and nostalgic to write. Fun, because I enjoy creating zany characters with names like Beanie and Little. Those are two of the boarders at Aunt Dovie's house in Winston-Salem, NC. The nostalgic part of the creating came as I recalled my own days at a refugee camp where I taught in the 1980s. My novel is loosely based on my experience there. The camp was located in Bataan, Philippines and housed over 17,000 Indochinese refugees. I taught English to the children. The Amerasians are who intrigued me. These half Vietnamese, half American (U.S.) were treated poorly and often given no education in Vietnam. I got to know many of these kids and included one in particular in A Wedding Invitation. Lien is purely fictitious, but she is a component of Amerasian girls I had as students. These kids wanted to belong and be accepted, only they didn’t usually achieve that goal well because they were often rude and loud. Perhaps that was the only way they’d get any attention. Lien strives for this, showing us that we all have the need to be invited, accepted, and befriended. She learns that God invites us, too. In his eyes, we are each accepted, forgiven, and loved with an everlasting love. What a great world it would be if we could reach over and beyond society's prejudices and accept those we live near and work with. When we do this, we open our hearts and lives to some priceless gems. That's eventually what Samantha realizes about Lien. Lien is funny, intelligent, insightful, and grateful. Of course, the time it takes for Sam to realize these characteristics about the Amerasian is lengthy. But the result is a friendship well worth the trip. Hey writers, Annette here for another Mixing-it-Up Monday. Nancy Rue has returned today to continue her series on including a psychological thread in your novel. I love her tip on following a thread through the ms. Read on! We authors tend to enjoy the psychological research part we talked about last time because it’s like procrastinating without the guilt. Eventually, though, we have to stop gathering and start plotting. Our question for today is: how do you weave the psychology into the story? I’ve always been a planner – of everything from my outfits to the amount of chocolate I can consume. Naturally I plan my novels in detail before I start the second draft. Calling the outline the first draft has staved off many a nervous breakdown. Even if you’re a seat-of-the-pants writer (though I’m not sure such a person exists), some form of the following is essential in the psychological development of a protagonist. These are not linear and will overlap, but they’re all necessary. Establish your protagonist’s goal. This usually happens at the end of that first act, about a quarter of the way into the story. A change has taken place in his ordinary world that causes the character to set a goal. That’s the spine of the plot. What that objective is and how he’ll pursue it depends on the protagonist’s inner world that you now know so well. That thread will remain strong, even as it weaves its way through the subplots and the supporting characters. Understand how your protagonist has to change. This is where it gets tricky. It’s one thing to know that character down to the nose hairs, and another to allow her to grow. If the character doesn’t transform in some way as a result of what happens to him, you’re writing a Hardy Boys mystery. The skill comes in keeping that change consistent with the character’s God-given traits—the true self. Early on, I look at the plot skeleton and determine specific turning points where the protagonist has to make a decision, has a realization, changes direction or moves on with greater intensity. I mark those with a TP in the outline and read them through one after the other to make sure that thread hasn’t frayed or tied itself into a square knot. This is not the easy part, especially if you freak out about how you’re going to actually write it. We’ll talk about that next time. For now, just sit down with your protagonist over a couple of lattes (you can drink hers, too) and say, “I’d like to get to know you.” It will be time well spent. Conferences, Retreats and Workshops! Oh, My!